Getting married and are in the planning stages of your big day. 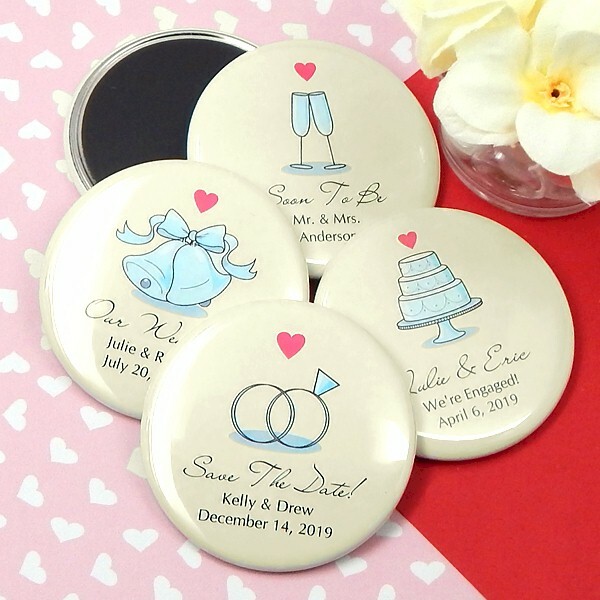 Share the exciting news with all your family and friends by adding a unique touch to your wedding or special occasion with these beautiful personalized magnets. These magnets are a great alternative to save the date cards. 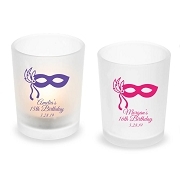 They are a lovely visual reminder to all your guests, filled with important details about your big event. 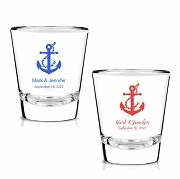 They can also be an elegant wedding, bridal, or engagement party favor. 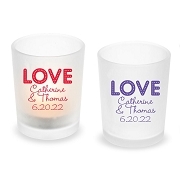 How about including them in with your thank you notes as a keepsake of your special day? 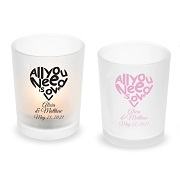 Remember to include this modern twist on save the date favors for your special moment! Each magnet is 2.25” in diameter and has a beautiful glossy clear finish and can be personalized with three lines of text. Keep in mind these lovely magnets are complete, ready to go favors with no assembly required.